Just a few months after Democratic congresswoman Jacky Rosen (Nev.) introduced legislation taking aim at her colleagues for using taxpayer money to aid reelection campaigns, Rosen used video from what she now admits was a taxpayer funded trip to the border in a campaign ad courting Hispanic voters. Rosen disclosed last week to Politifact that her trip was official business as a rebuttal to charges from her Republican opponent that she skipped votes in Congress to "attend a publicity stunt" at the border. Her disclosure, however, has now opened the door to criticism from state Republicans who wonder why images of her official trip appeared in campaign ads, especially given her legislative call for stricter barriers between official and campaign budgets. Rosen introduced her bill, the No Free Campaigns for Congress Act of 2018, in March and argued members "should be using their office budgets to fight for their constituents and serve the people they represent, not help themselves get reelected." 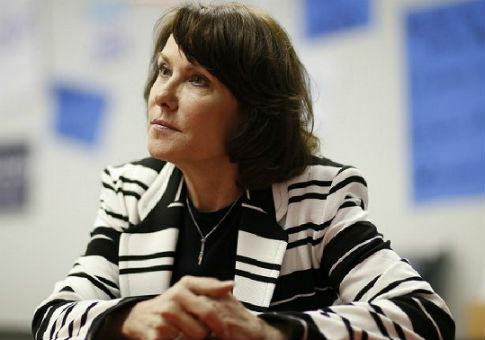 "Jacky Rosen was high and mighty on her soapbox earlier this year when she said members of Congress should never use their office budgets to help them get reelected," Michael McDonald, chairman of the Nevada Republican Party, told the Washington Free Beacon. "Now she's admitting she did exactly that when she used taxpayer dollars for a campaign photo op." McDonald is referencing a Spanish-language ad ran by Rosen's campaign in early July on her June 25 trip to the border. The ad opens by highlighting the issue of child separation at the border and then brags that Rosen had visited the border, flashing headlines and images from her trip. The images of Rosen used in the campaign ad had posted earlier on her office's official website and on her official Twitter account. Rosen's office did not respond to an inquiry into whether a member of its staff took the pictures and whether she believes the use of the official photos violates the spirit of her push for legislators to be more cognizant of their use of taxpayer funds to aid reelection efforts. Rosen's campaign has presented the freshman congresswoman as a frugal custodian of taxpayer funds. "One problem I have with Washington is they don't respect your money," Rosen said in an April ad. "It's time for both parties to work together and remember where the tax dollars come from." McDonald said taxpayers "deserve answers" from Rosen on her trip and whether it was taken for political reasons. "Rosen has proven that she’ll stop at nothing to get a promotion—even if it means taking advantage of the hardworking Nevadans she’s trying to represent," McDonald said. "Taxpayers deserve more than just a refund from Rosen—they deserve answers." Rosen was first elected to Congress in 2016 and announced her run to unseat incumbent Republican senator Dean Heller just a few months into her term. Despite her lack of experience, she is viewed as one of the stronger Democratic candidates running in 2018. This entry was posted in Politics and tagged Jacky Rosen, Nevada, Taxes. Bookmark the permalink.